The Nation of Canada boasts being the second largest land mass in the world, ranking in below Russia and just squeezing in above China. With diverse, breath-taking beauty from coast to coast, it is a place where tourists flock and where many (including myself) love to call home. Canada’s diversity is not limited to its scenic landscapes but is also evident among its many ethnic groups, the second largest of which are the French-Canadians (French, Québécois, and Acadian), making up roughly 21% of the population. 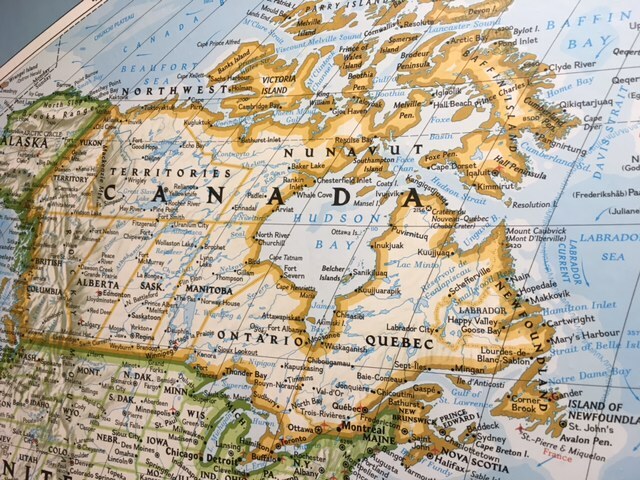 The Nation’s official languages are English and French, and the official language of its largest and second most populated Province (Québec) is French. While that might not be surprising information to most, what many do not realize is that French-Canadians are arguably the most unreached people group in North America with an evangelical population of less than one percent (over 99% unreached). Statistically, Roman Catholicism claims the chief status among religious adherents; however, attendance has been in steady decline and many parishes have closed their doors. Alongside of the drop in religious interest there has been a steady decay in the moral fabric of the culture as seen in the alarming divorce, abortion, and suicide rates. Needless to say, the situation is dire, and Spirit-empowered Gospel labours are required. Please remember the nation of Canada in prayer, and particularly the French-Canadians. Petition the Lord of the harvest for an increase in French-speaking labourers, that God would raise up many with a burden to reach the lost; there is a great need for healthy churches to be planted and established, that entire communities would come under the power and influence of the Word of God. Pray for faithful Christ-centered preaching and godly leadership in the existing churches; many are outwardly religious, but few are transformed by the power of the Holy Spirit.